It is a train ticket that will allow you to have unlimited train rides for 7 days or 14 days, depending on which pass you buy. But make sure to check first if you are eligible to buy the said pass. Not everyone can buy the pass. This is only available to foreign tourists visiting Japan under the “Temporary Visitor” status. If you are entering Japan as a “Trainee”, “Entertainer”, or with “Re-entry Permit”, you cannot avail and use the JR pass. Where can you buy the Japan Rail Pass? Take note: You cannot buy the Japan Rail Pass in Japan. This means that you have to decide on whether you’re buying it or not before you arrive in Japan. There are two options that you can consider when buying the pass. You can either buy it online and have it delivered to your house via FedEx or buy it from an accredited travel agency in your country. I checked on which is cheaper. Online is cheaper but you have to shoulder the shipping fee, which will be more expensive in total instead of buying it on agency. I bought my Japan Rail Pass from Friendship Tours Manila. It is located at the 3rd Floor of Dusit Thani and paid cash amounting to Php 13,973.00 (JPY 29,110). Passport copy and Visa is needed when buying the JR Pass. A voucher will be given to you once payment has been made and this will be exchanged in Japan once you arrived. Nearest accredited companies where you can exchange it is available in the leaflet. 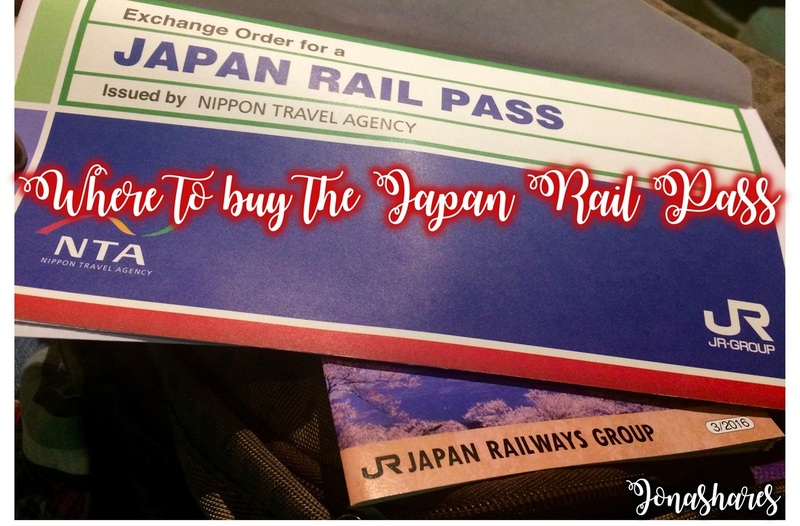 If you want to buy the pass directly from a travel agency, you can check out this list of accredited travel agencies where you can buy the Japan Rail Pass. Here is an actual exchange order that you will get. Instruction will be discussed by the agent and also it is included in the envelope that will be given plus leaflets that about the JP Pass. 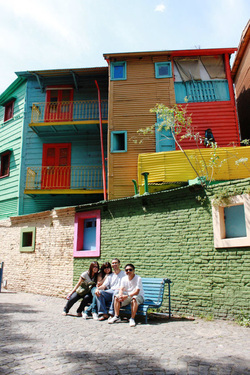 Planning to go to countries with Visa requirements? First, what you need to do is to check on the necessary documents that are required to be submitted when applying for a visa. 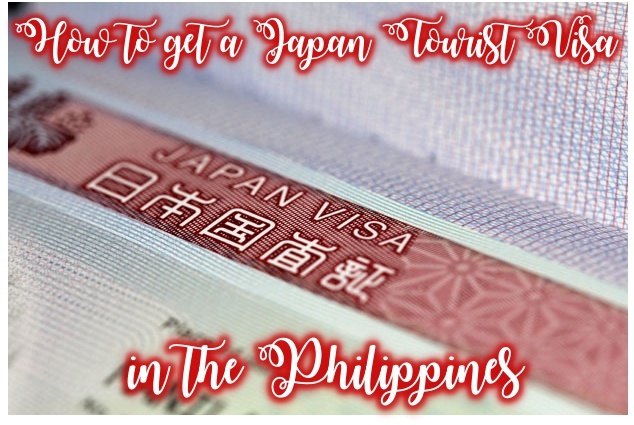 As for my experience, I checked on accredited travel agencies that are allowed to process Japan Visa. Since it's my first time to apply, I made sure I have completed all the requirements before going to the agency. All the details that you need can be found on Japan Embassy's website. List of the accredited agencies is also available in the website. I chose Reli Tours Agency which is located at SM Megamall, 5th Floor, Bridgeway because its more accessible for me. I dropped by first to check the place if it really exists. Then I saw that there are many people in the office, I went inside and asked for the list of documents to be submitted. This is just to make sure I didn't miss any. I went at the agency for the second time with the documents with me, around 4pm which is no longer peak hours. I had my visa application processed for around 30 minutes including the checking of requirements to interview and payment. Processing fee costs Php 950.00. You will be given 3-5 working days for the processing of your visa. The Agency will contact you once your passport is already available for pick-up. Note that you will only know the status of your application once you picked-up your passport. TIPS: make sure you have all the documents to avoid inconvenience. ​1. Your passport - make sure it has a validity of six months. 4. Birth Certificate - Authenticated by NSO, requested same year of your visa application. 5. Your itinerary - details of your trip. My Visa was approved for single entry. It is advisable to have your visa three months before your travel period to make sure it will be processed on time. Who says travelling alone is sad? For me, its a fulfilling one. You got to enjoy yourself, forced to talk with strangers on the road and make friends to then afterwards and of course, you have all the time and decisions which is solely unto your hands. Just after my last working day in the office. Yes, it's my last day in a company I worked for more than seven years. Rushed into the airport to catch my flight. Good thing, I was able to make it. Hooooray!!! Plan for the day is to meet my niece and nephew at the airport as they have the same flight that day... Its just that mine is earlier. When I reached Hongkong, Roamed around the airport while waiting for them. Ate at McDonald's and kill the time browsing the internet. The airport has a free-wifi connection which is pretty good for travellers who has no data connection. It's a sunday, so I went to hear the sunday mass first with my niece. It's nice to see many fellow Filipinos hearing the word of God. After that we went to Sai Kung to visit my other relatives there. Such a good time, I love all the foods they prepared. Indeed a warm welcome. 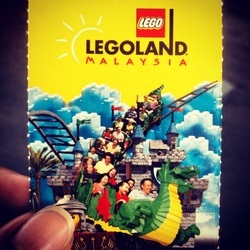 A Day-trip to Legoland, Malaysia with my bestfriend and previous officemates. We rode a bus from Signapore going to Johor Bharu in Mlayasia then another bus ride going to Legoland theme park. 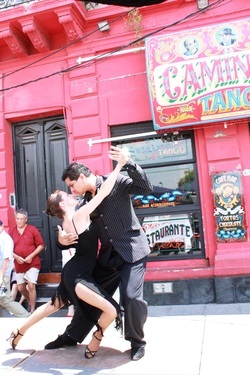 Argentina is widely known for the Tango Dance. As we roam around the place of Caminito, you will see that most of the restaurants there has these kind of performers. they are performing in front of the bars and restaurants as early as ( in the morning. Snapshot with my colleagues, (from Left) Lovely, Me, Mark and Sam. Last trip for the year 2013. Will be celebrating my birthday in advance with my two good friends working abroad. Manila-Singapore-Dubai reunited. Accountant and MBA graduate who recently quit her corporate job. Currently, in search of what her heart really wants to do.